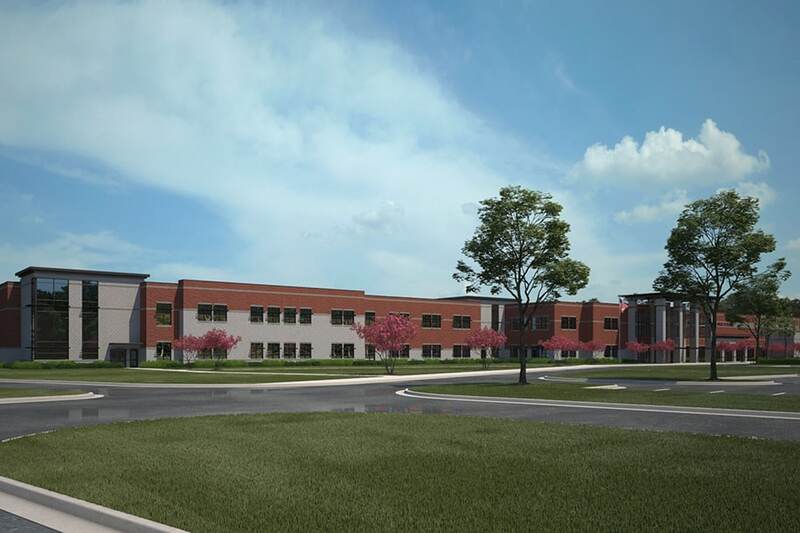 Hussey Gay Bell was recently selected by the Savannah-Chatham County Public Schools Board of Education to design the District’s new Jenkins High School project which, through heavily phased construction, will replace the existing school located on a 40-acre site off of DeRenne Avenue. 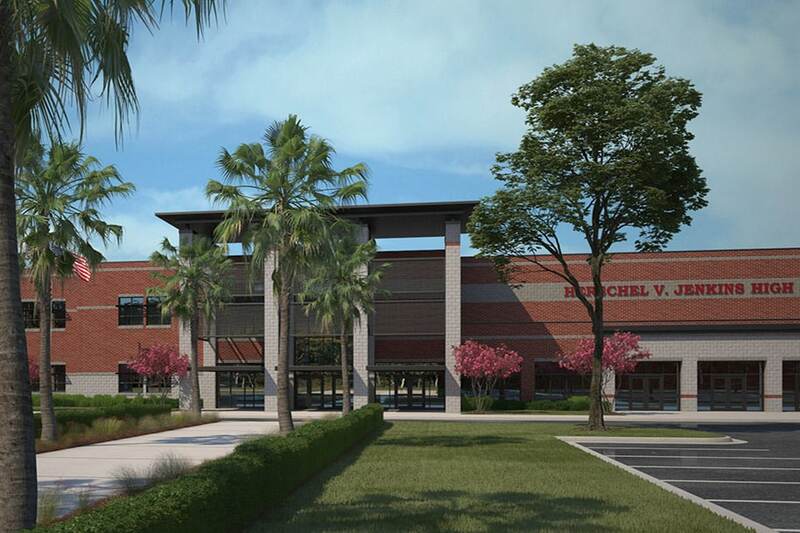 At completion, this 200,000 SF, $55M high school will include facilities to support a full STEM curriculum, a special needs wing for Exceptional Children of the Coastal Georgia Comprehensive Academy and full athletic components. This project will be two stories, masonry wall construction with a Construction Management at Risk delivery method. 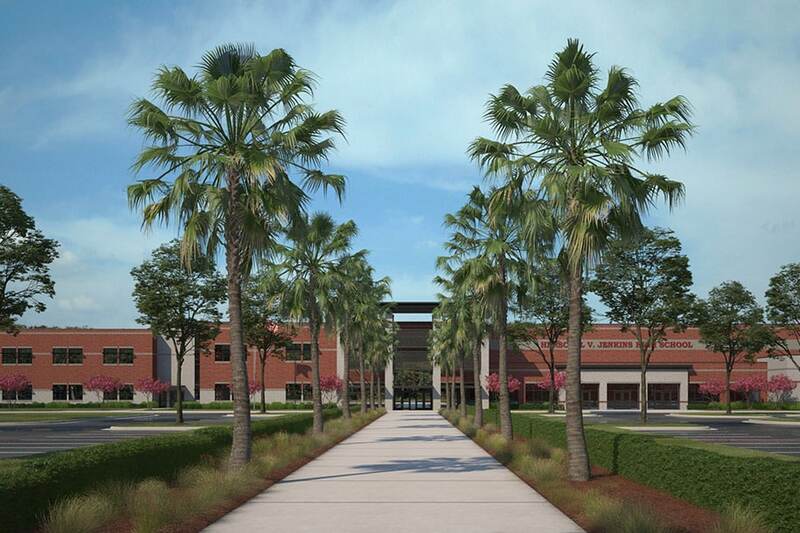 At project completion, the entire existing high school will be demolished and replaced with new. Upon completion of the neighboring Juliette Low Elementary School, Hussey Gay Bell has just launched into planning efforts to support educating young people of Savannah in a smarter, caring and healthier way. 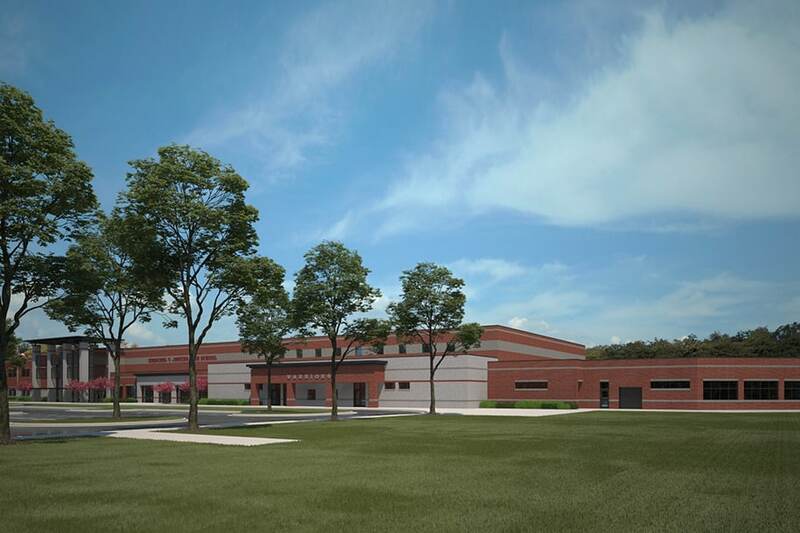 The 200,000 SF new Jenkins STEM High School will support a full STEM curriculum, a special needs wing for Exceptional Children of the Coastal Georgia Comprehensive Academy and full athletic components.